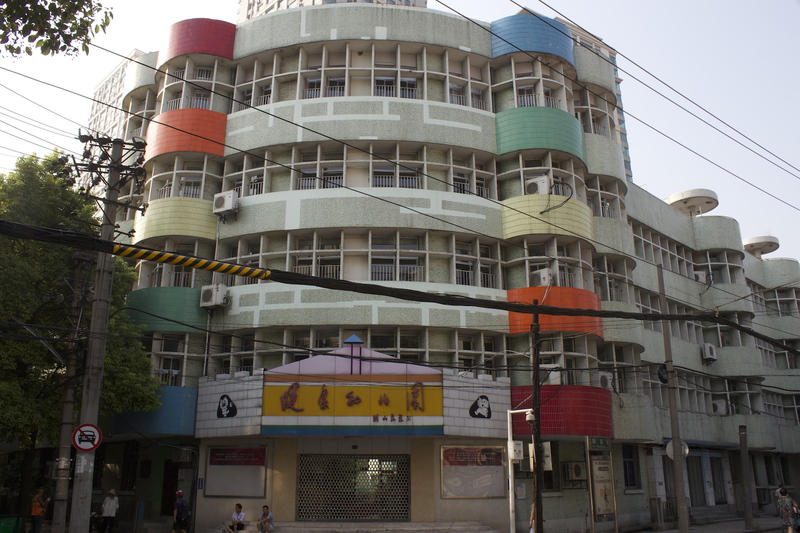 Behind the Hankow Bund lies a wealth of Concession-era architecture, surprisingly well-preserved and many still functioning as their (close-to-) original purpose. 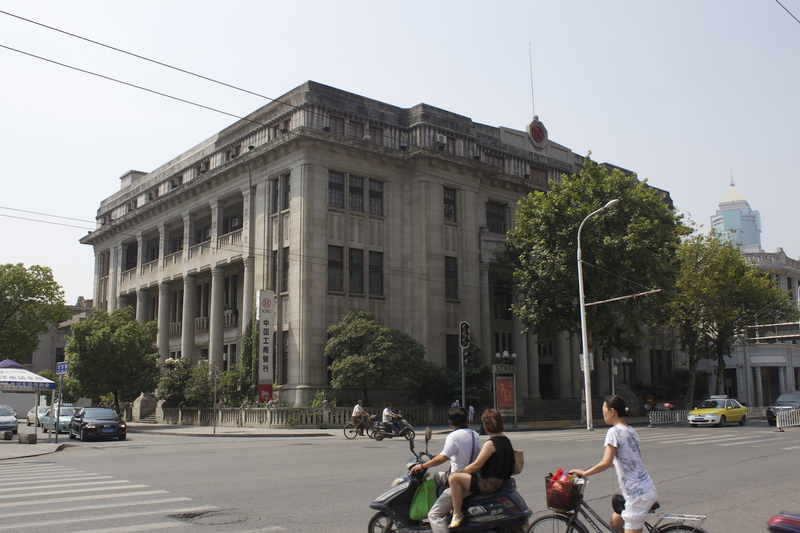 As per the Bund, the documentation is poor and many of the buildings are not marked out; even if they were, the names of the buildings are in Chinese and it is almost impossible to make out what they may have been in their original languages. 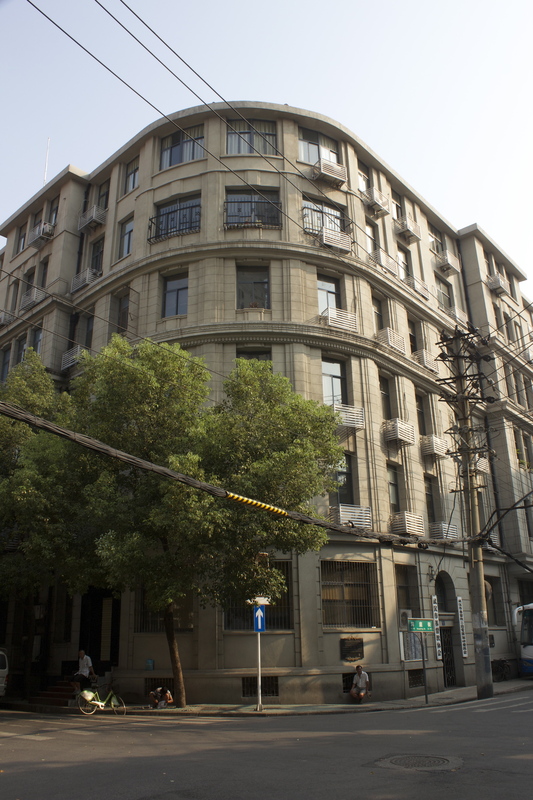 The following provides a glimpse into the different architectural styles in the five former concession areas – the British, Russian, French, German and Japanese. 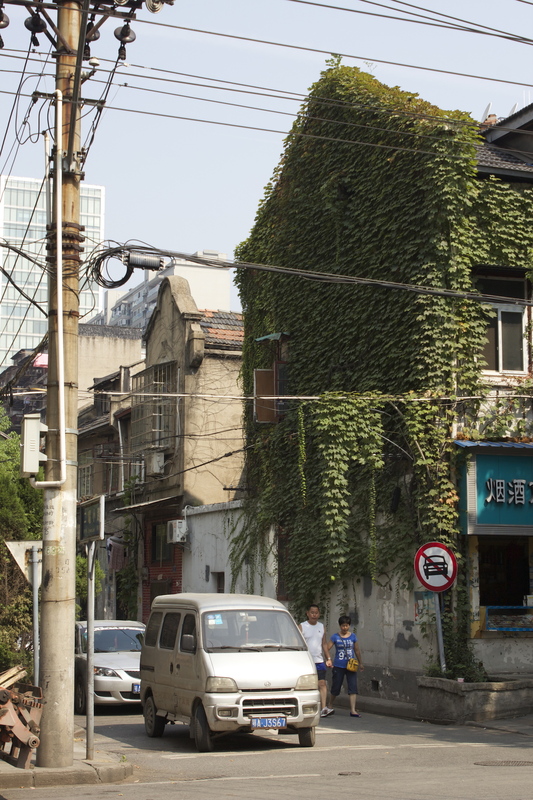 There are simply too many buildings to photograph, and these images suggest the wealth of heritage still standing. 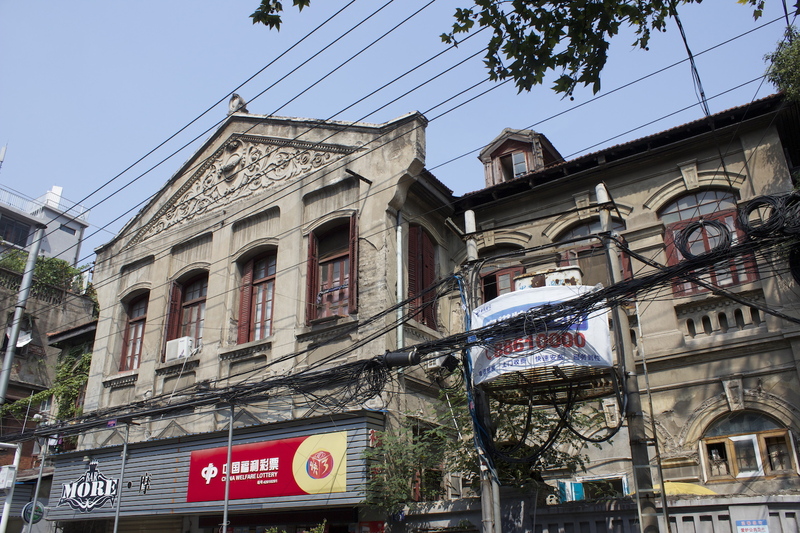 The British Concession area is the best preserved, with an amazing wealth of monumental, commercial and shophouse architecture. 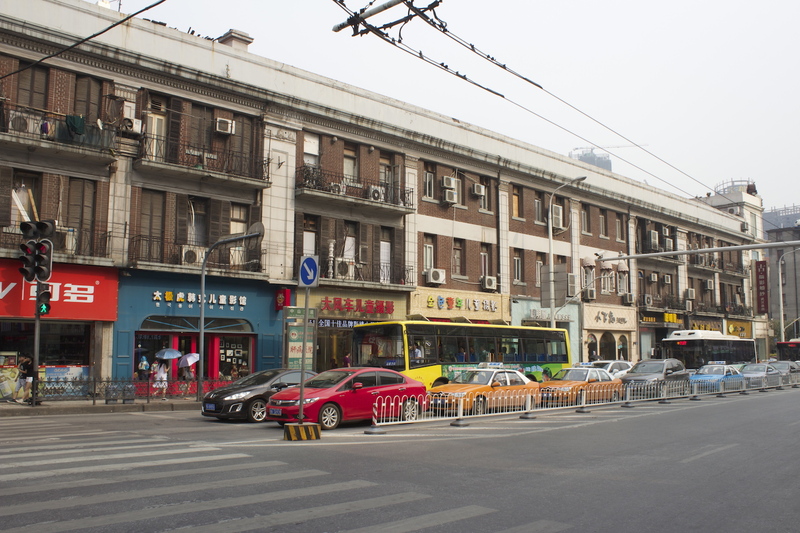 Two major thoroughfares that one must walk down are Jianghan Road – equivalent to Nanking Road in Shanghai; and today’s Sun Yat Sen Road, which marks the western boundary of the British Concession. 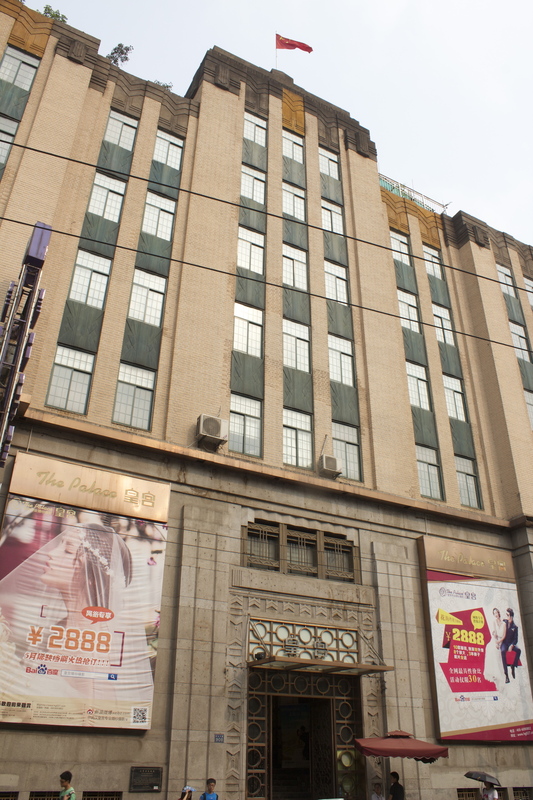 Commercial architecture on Jianghan Road – Hankow’s shopping street. 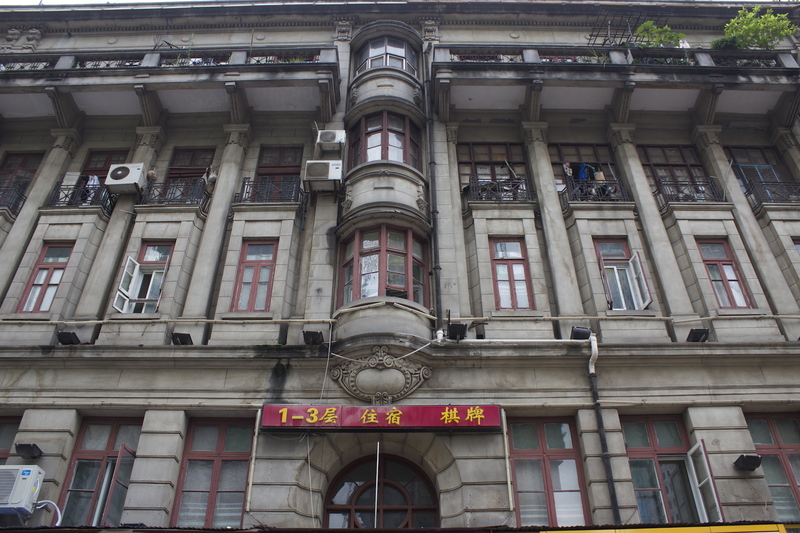 The former Bank of Taiwan Building, Jianghan Road. 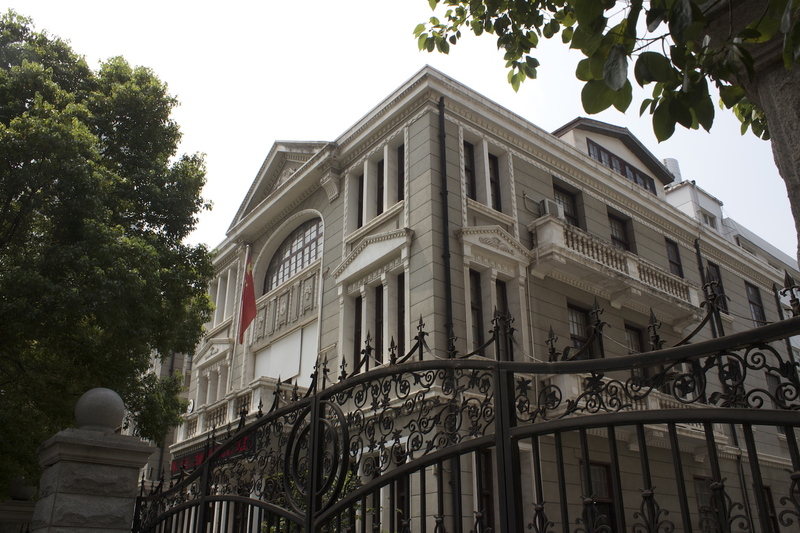 The former Shanghai Bank Hankow Branch Building, Jianghan Road. 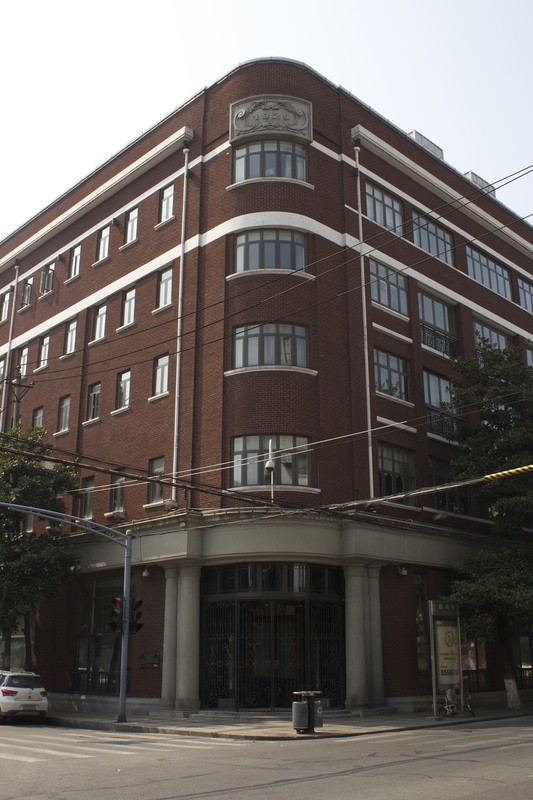 The former Yokohama Specie Bank Building, Sun Yat Sen Road. 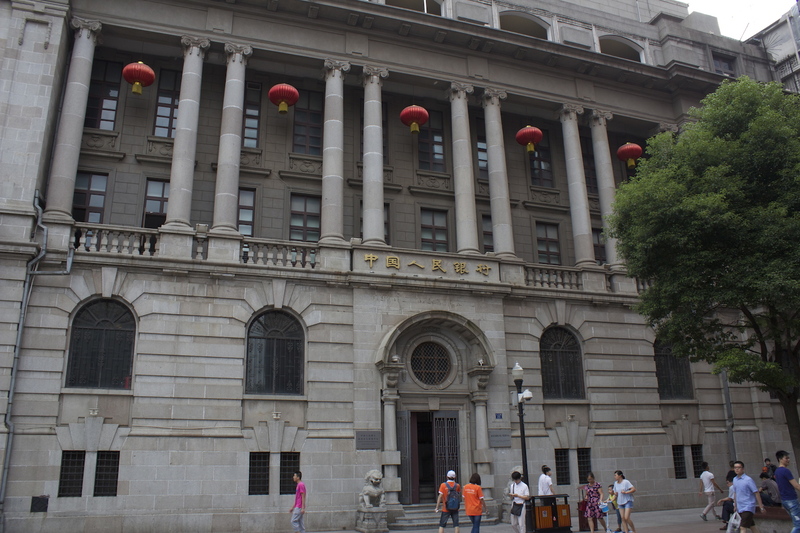 The former Bank of China (established by the Qing Dynasty), Sun Yat Sen Road. 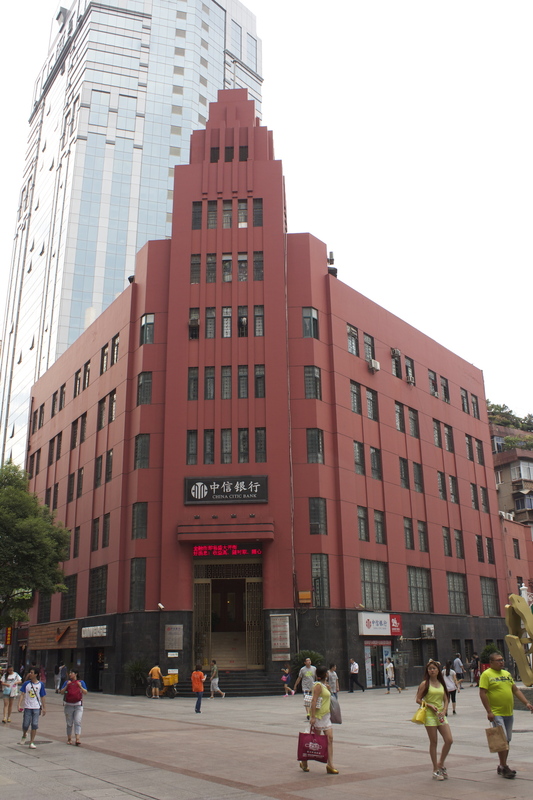 Art Deco Bank Building, Jianghan Road. 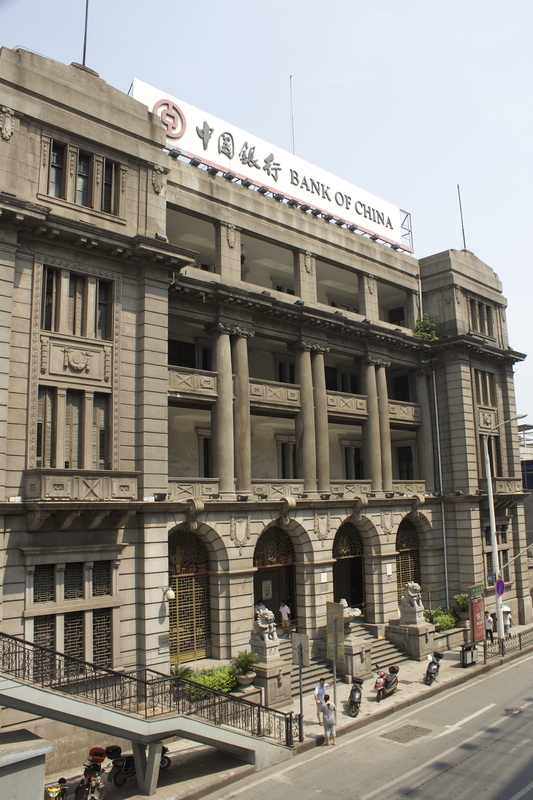 Art Deco Bank Building, Sun Yat Sen Road. 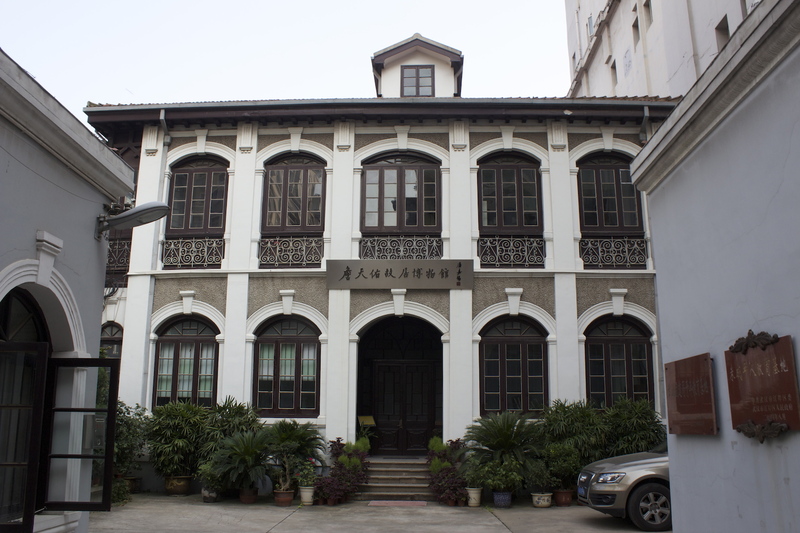 Shophouse architecture along Sun Yat Sen Road. 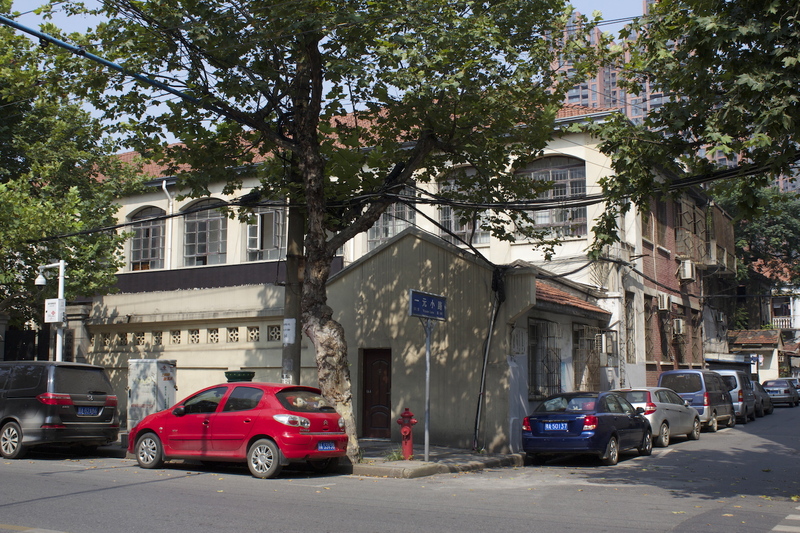 Catholic Church on Shanghai Street. 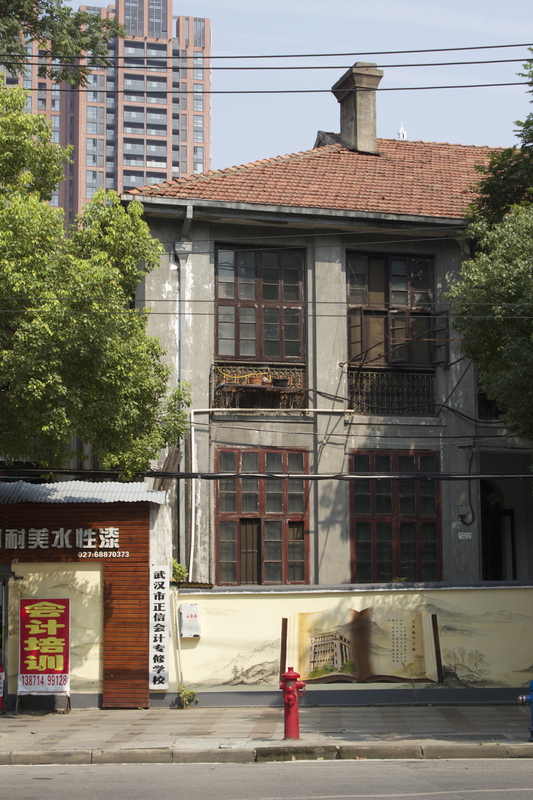 British Concession area villas on the verge of being demolished. 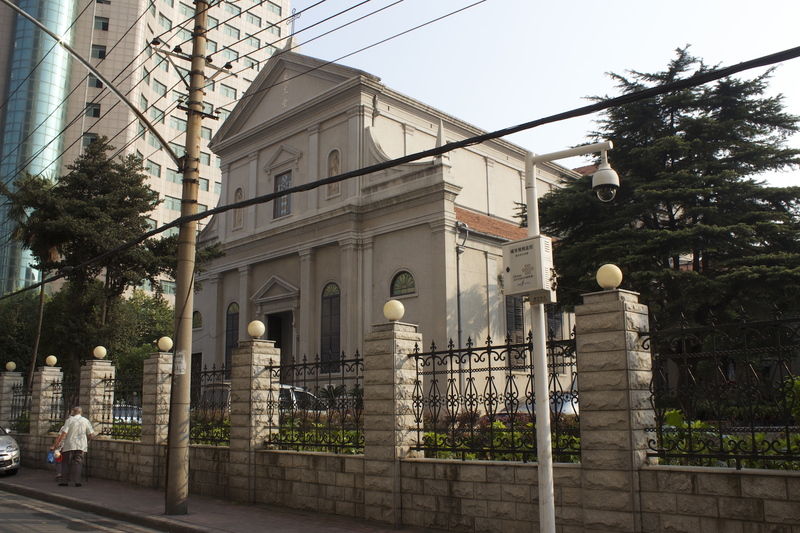 The Russian Concession begins at the Hankow Orthodox Church – which was, unfortunately being renovated at the time of my visit. 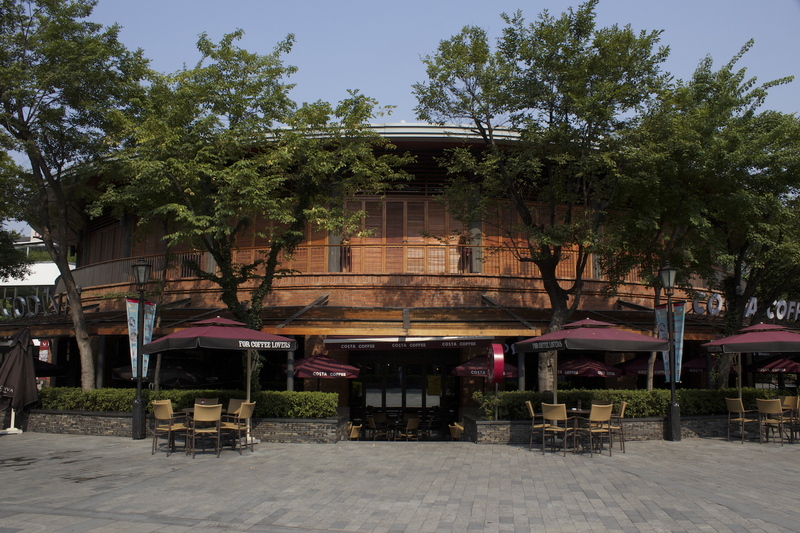 It is known for its squares, one of which features here. 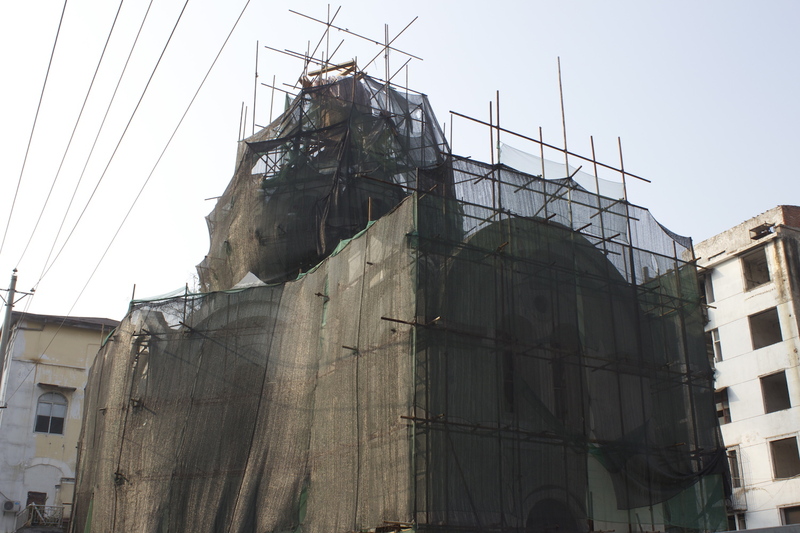 Hankow Russian Orthodox Church, being restored. 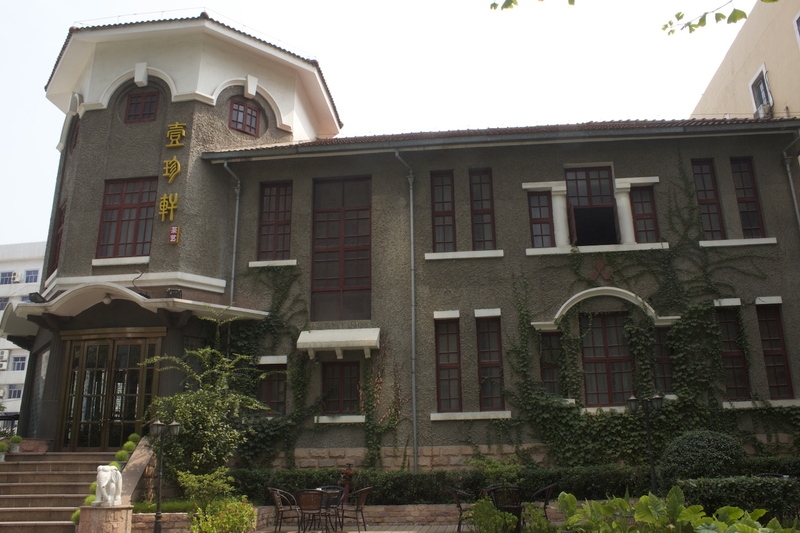 Lutheran Missionary Home, around one of the Concession area’s famous squares. The Huiluo Company (? 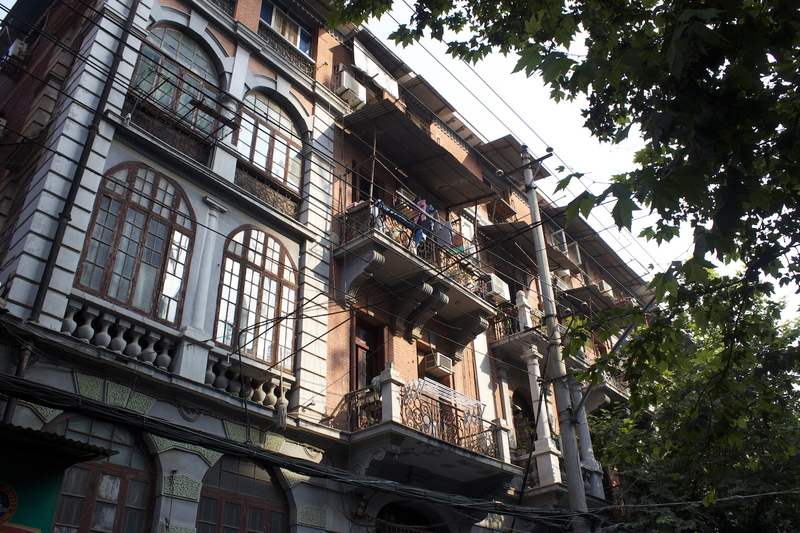 ), around the same square. The Russian Concession Housing Search Agency, around the same square. Bangke Gardens, around the same square. 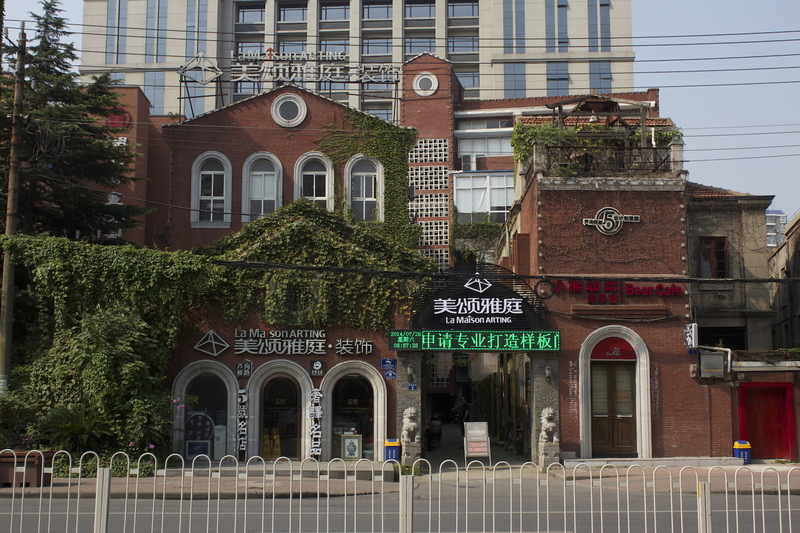 These apartments were built by and housed Hankow’s White Russian community. 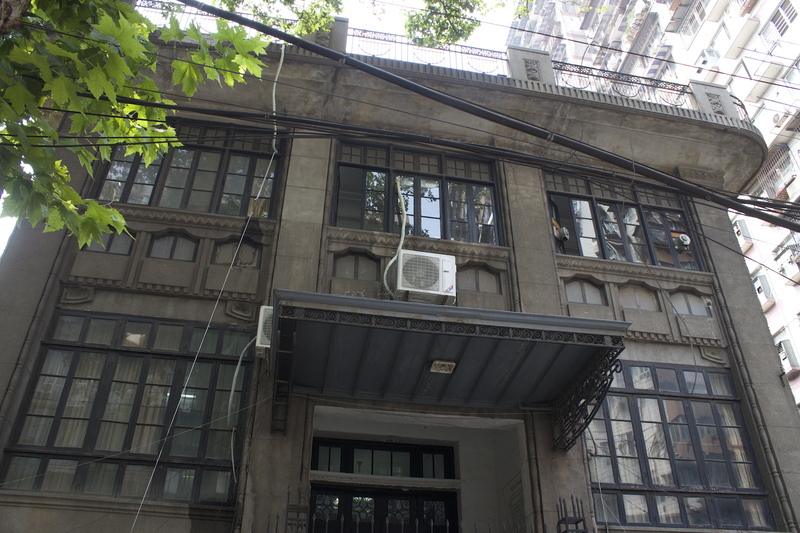 Dent & Co offices, at the edge of the Russian Concession. 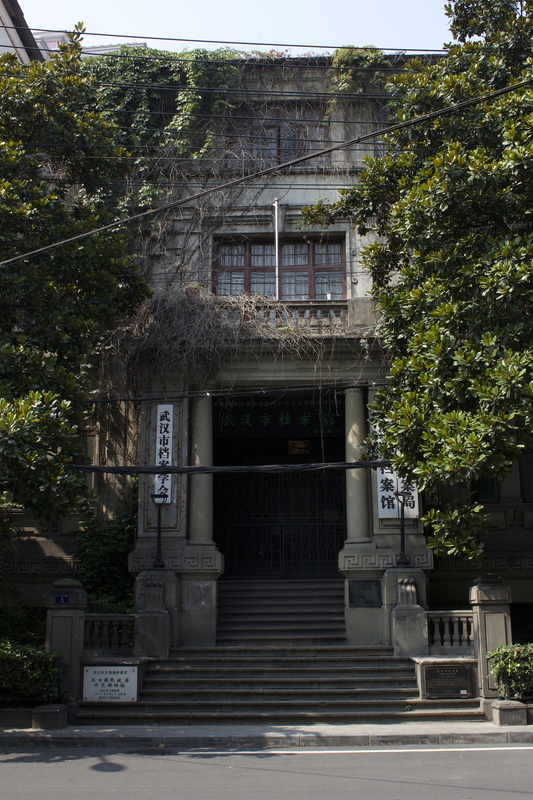 Former residence of Zhan Tian You. 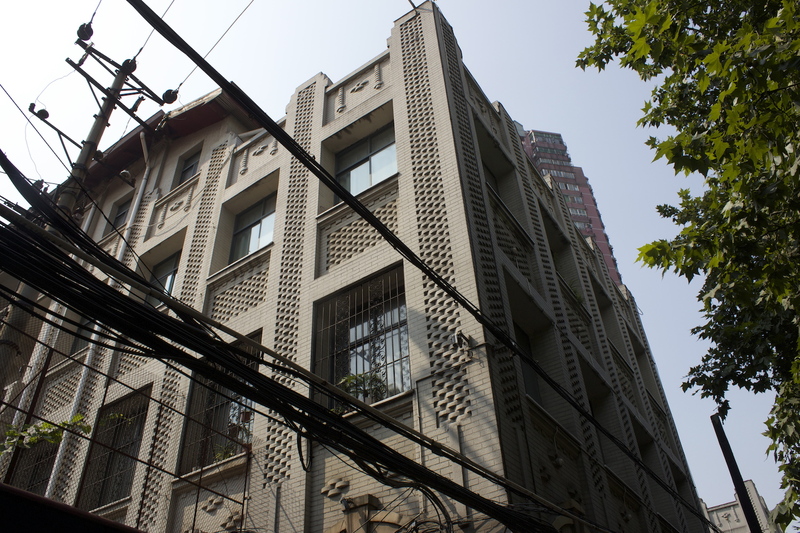 French Concession architecture is a little more elaborate than the British, but somewhat less monumental. Villas dominate. 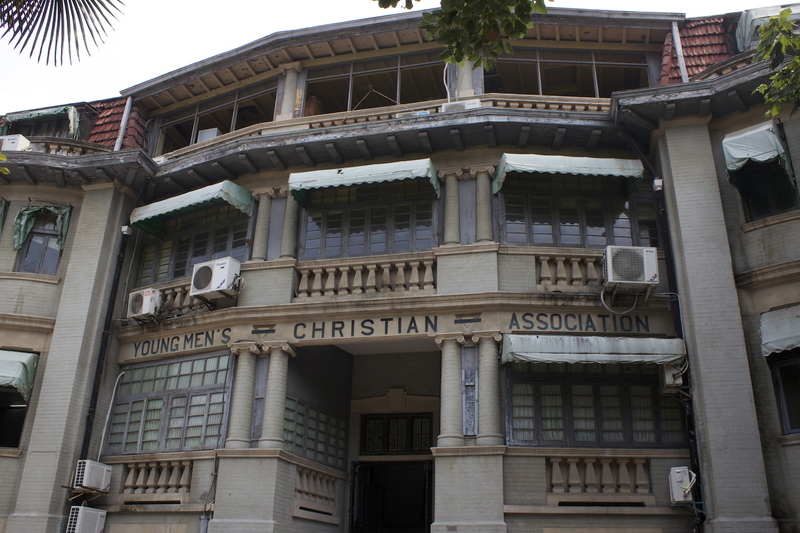 A key landmark is the YMCA Building. 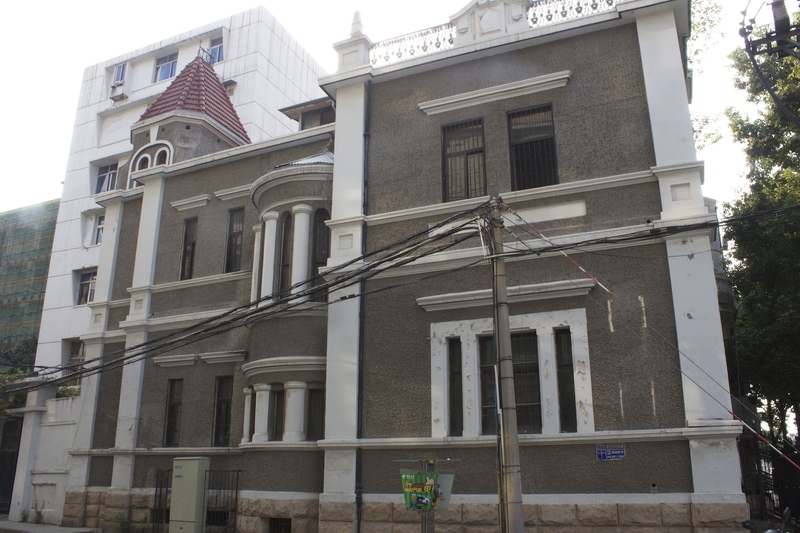 Luojiabei Residences – French built residences for the Chinese. The former Train Company offices. 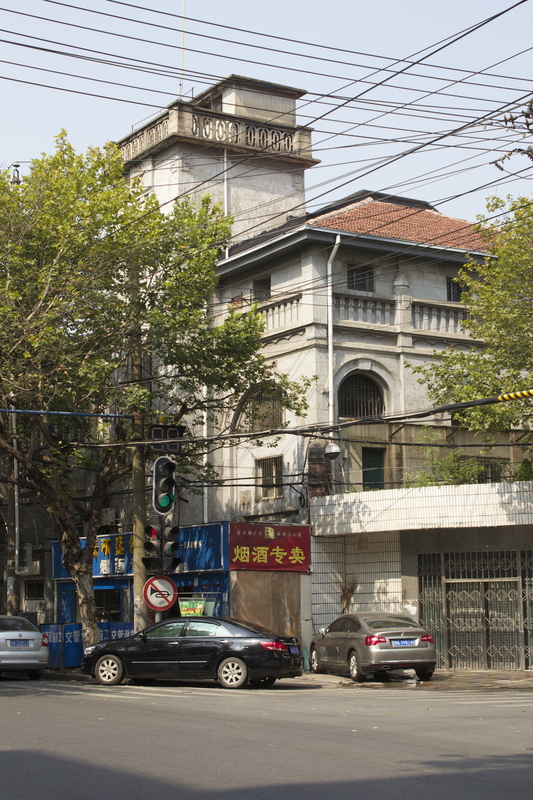 The German Concession was the first to be returned to the Chinese, and as such it has the least number of heritage buildings still remaining. 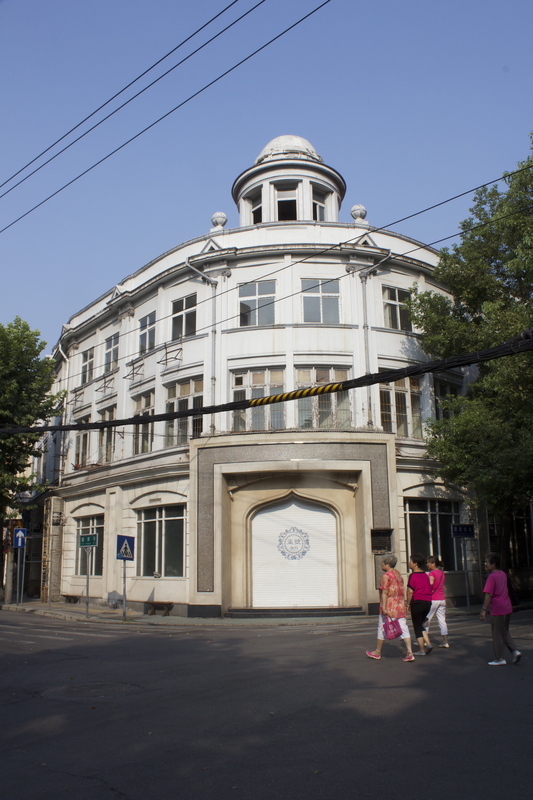 That said, look closely, and one may still find the silhouette of a former villa, or even actual villas still standing, behind the commercial facades. German villa behind contemporary facade. Finally, the Japanese Concession, like Japan itself, has a quaint, other-worldly atmosphere. Streets are lined with plane trees and pretty, almost-European storybook villas. The occasional traditional Japanese roof appears. Blink and you miss it. 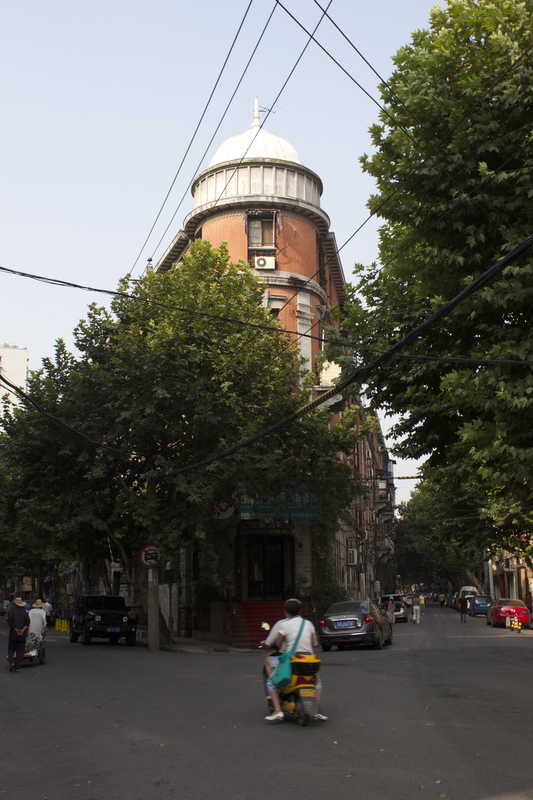 Interestingly architectural form – possibly a former teahouse? Note the Japanese-style roof. 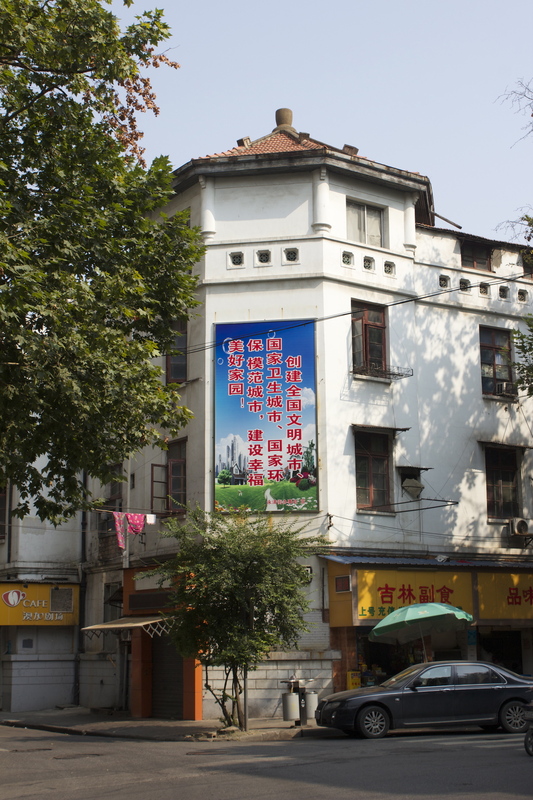 These are apartments today but perhaps they may have been a temple in the concession-era? Gallery | This entry was posted in Art & Architecture, China, Cities & Regions, Landmarks & History, Photography, Travel & Mobility and tagged British Concession, Concession Architecture, French Concession, German Concession, Hankow, Japanese Concession, Russian Concession, The Grand Tour, The Grand Tour of the Far East, Treaty Ports, Wuhan. Bookmark the permalink. 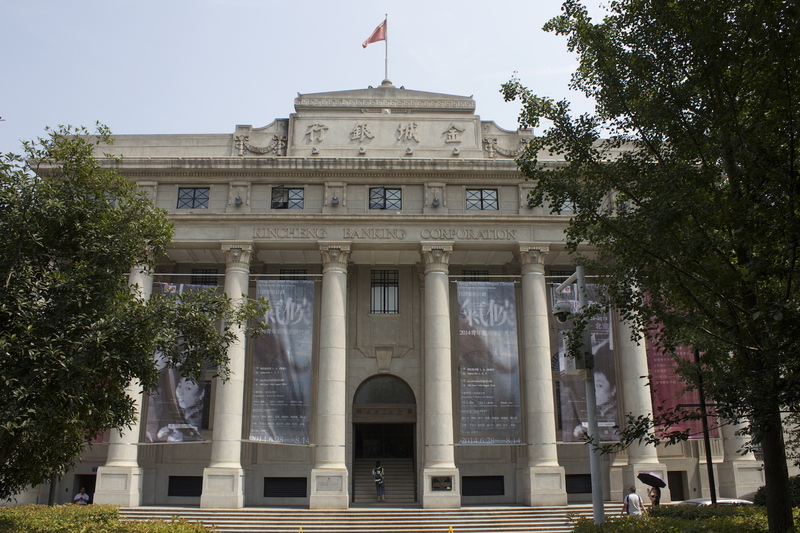 Many thanks for your great pics of Hankow. One building which particularly interested me is the a@artment building at Bangke Gardens. It seems to be an early modern movement building with light green tiling on the exterior and coloured tiles on the semi-circular bow windows to either side of the entrance. 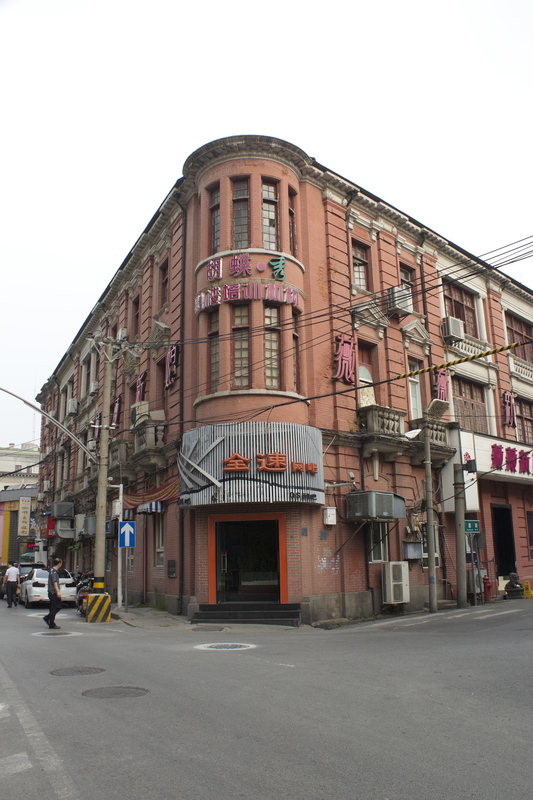 Do you have any more information about this building, architect, client, construction date. 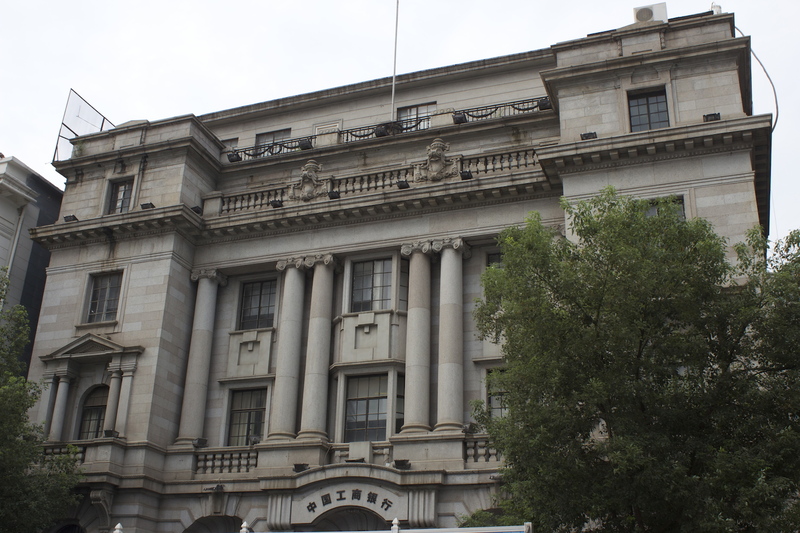 I visited this area literally a couple of weeks ago and saw another building with some commonalities, the Russian Concession Municipal Building (title?) 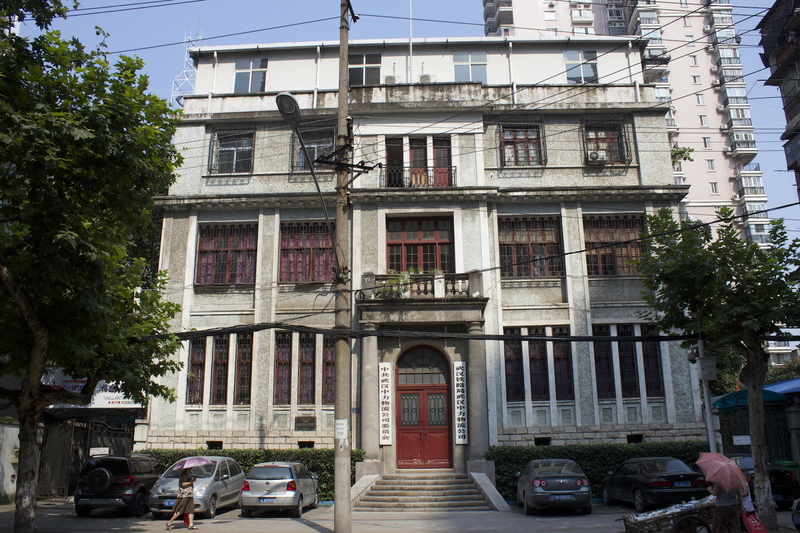 with a curved corner tower in similar moderne style, with dates of 1930 on the heritage plaque. Could there be a connection? Thanks for sharing, this is amazing, I am so excited when I see this. I have spent a lot of unforgettable childhood there. All your photos perfectly capture the scenery before I left the city. I have stopped and look at all the buildings and places in your beautiful photos. Even the colourful glass of the church(Hankow Russian Orthodox Church, being restored.) 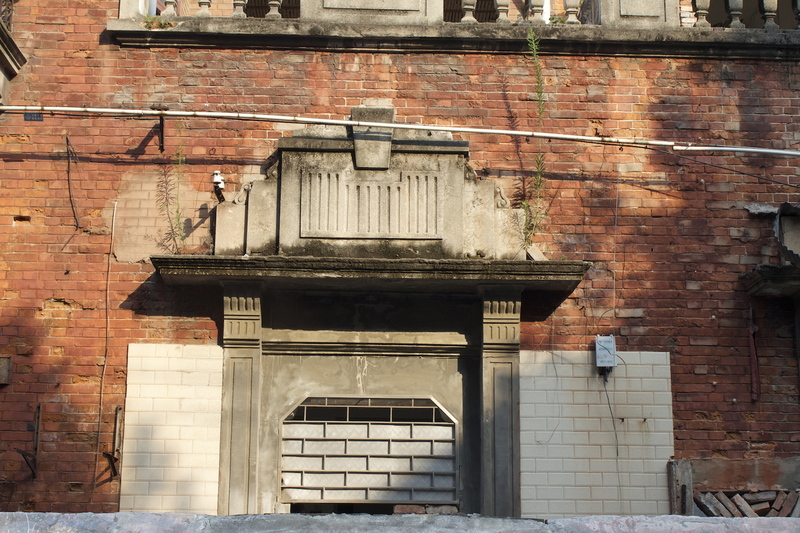 and my neighbour’s door(British Concession area villas on the verge of being demolished.) with black paint on. 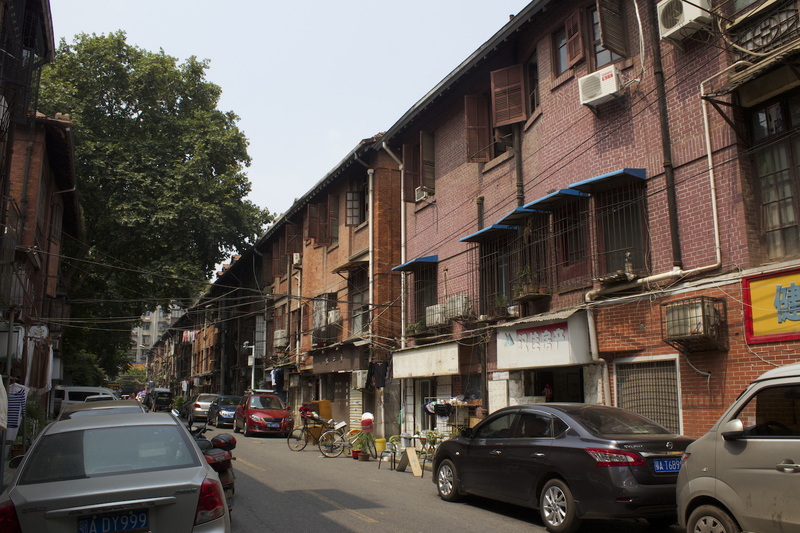 Before the tunnel which under the Yangtze River was build, walk in to British Concession residential area is like entering another world especially in summer. form noisy city to quiet place.